We are in MacKinnon Building which has two wings and a newer "extension." 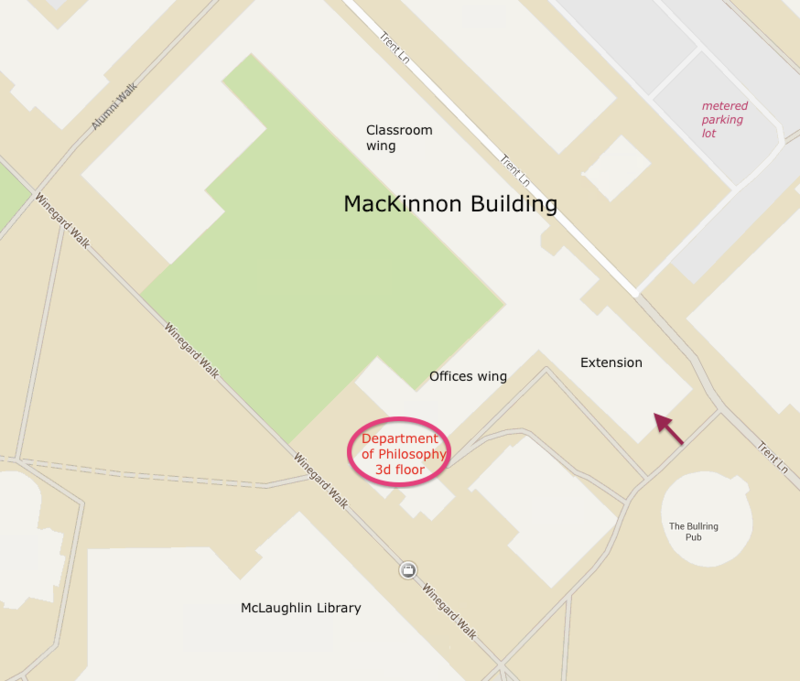 We are on floor 3 of the offices wing, and our departmental office (room 348) and Department Lounge (room 345) are at the hallway-end that is closest to McLaughlin Library. If you do find yourself in the classroom wing and want to get to us, know this: the only floors offering access from one wing to another are the basement and floor 1. MacKinnon Building was designed by the firm of Josep Luís Sert , remembered also for the Peabody Residence at Harvard University .